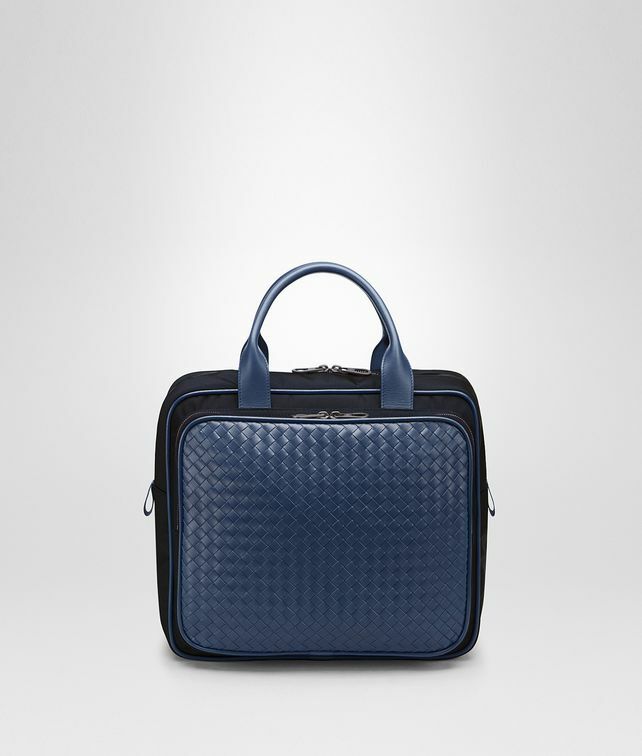 This compact travel bag is constructed from lightweight hi-tech canvas and accented in Intrecciato calf leather for a contemporary, city-ready sensibility. Ideal as hand-luggage, this functional design can be slipped on trolley handles or carried by hand. It features a a padded section for safely trasporting electronic devices and a cotton-lined compartment with a flat pocket for storing smaller accessories. The double zippers ensure easy access to travel essentials. Width: 35.5 cm | 14"